AdPlugg is an ad manager and ad server system for publishers. "Administration and publication of services and announcements in the cloud." Adplugg is a tool that helps me, with different services we perform, for our customers in our business, something that I love about this tool is the possibility of managing the different marketing campaigns that I have hosted on this server, which allows me to publish In a simpler way, different ads on some websites, for our clients and for my web projects, is a tool with some very special features, for the analysis, and tracking of information, and, based on the scope of the ads, this tool is ideal, to produce reports with more accurate data for our clients, which allows us to show you a more detailed analysis of the services we are doing, with demographic data of all kinds, based on the follow-up of the ads, also to us, it allows us to make a deeper search of the information of the announcements, to launch more effective campaigns. I would like to have a little more freedom in the administration of the ads, make certain changes that I can not do, for example the ad rotator, I would like you to have a few more options, that is not the same amount of rotation always, if Do not rotate a high number of ads, and being able to commit different rotations, with different databases of ads per day, are things that can be improved, and can make this a better application. It is a tool that is easy to use, it does not have many recommendations to use, which you can worry about, with the basic knowledge of marketing, you have a great ally to manage your ads. It is a great tool that allows us to elaborate a more complete chronogram, about the publication, and administration of our ads in different websites, also allows us to make an optimal tracking of information, of each of them. "THE BEST PLATFORM AT THE TIME TO SPEAK ADVERTISING"
At the time of use I was able to develop a great skill in my company because it is very easy to use and does not require much effort. In addition, it helps me to manage any type of campaign that I will carry out with my company, and thus be able to give publicity to people who do not know it. I only see the detail that maybe the payment is not completely adequate due to the time it is done, but it is usually a very good software. It is an excellent tool when it comes to advertising, it helped me a lot attracting customers to my company, it is a clean, simple and effective advertising. "Effective advertising in my business"
A very effective and easy to use software, it is very fast and keeps me up to date when guaranteeing my advertising campaign. In a personalized way I can modify it to fit the needs of my company. At the moment I have not had problems with this system, it has helped in a very effective way to the organization of my company, it is highly recommended. This system has been very useful in my business, it helps my clients feel more dynamic when it comes to work. "Amazing tool to promote your ads"
The ease and utility that AdPlugg has developed is incredible, in a few minutes and without much knowledge you can deploy and monitor the ads on websites and blogs. It's just a matter of dragging the ad where we want it to appear. I have not found anything to complain about, on the contrary, I have loved the way in which my business has arisen after using this software, it is very easy to manage and acts as your personal manager. The possibilities are many, you just have to choose the websites where you want your advertising to appear. The more entries contain better results, you will see. 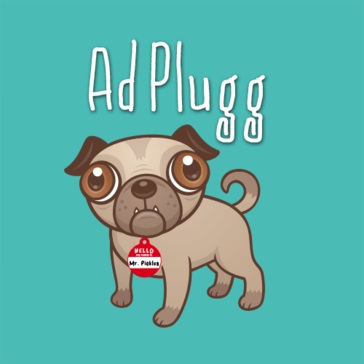 AdPlugg allows you to edit the ads for yourself. "Tool for easy use and good response"
The advertising of our company changed in a brutal way with AdPlugg, everything has been incredible, this app is dynamic and effective and most importantly very easy to use, I prefer it over traditional Wordpress plugin systems. I have not had any problems, everything has been described to me in technical support, the best application. We improve visual aspects in our web, now we have more projection and many more clients with image improvement. "adplugg advertising on blog and in the cloud"
in the time that I have been testing it, I have not presented any problem with zero negative points for my concept. * We monitor all AdPlugg reviews to prevent fraudulent reviews and keep review quality high. We do not post reviews by company employees or direct competitors. Validated reviews require the user to submit a screenshot of the product containing their user ID, in order to verify a user is an actual user of the product. Hi there! Are you looking to implement a solution like AdPlugg?